This bedstead is as macho as they come in the world of bedsteads. 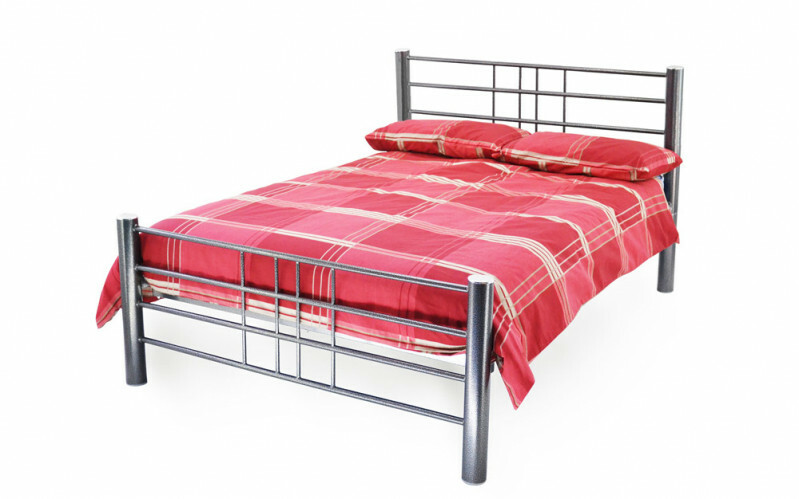 Three inch posts and reinforced side rails make this bed fit for use in both domestic & contract settings. This bed comes complete with a slatted base (mesh base arriving September 2017) which requires no troublesome centre support legs. It really is as sturdy as it looks, and sports an ultra modern design.